The UCL-67 LD, underwater close-up lens is designed to deliver high magnification yet superior image quality with comfortable long working distance enabling easy lighting. 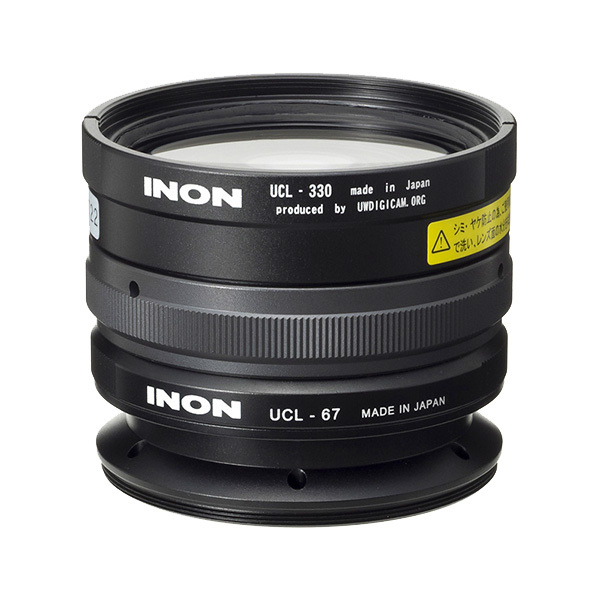 The UCL-67 LD close-up lens offers super macro imaging for compact digital camera systems supported by INON lockable bayonet mount INON 28LD Mount Base / Lens Adapter Base. 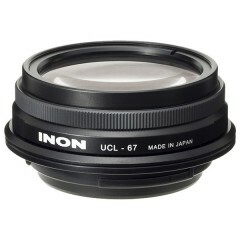 While the UCL-67 delivers high magnification, it still offers long working distance. 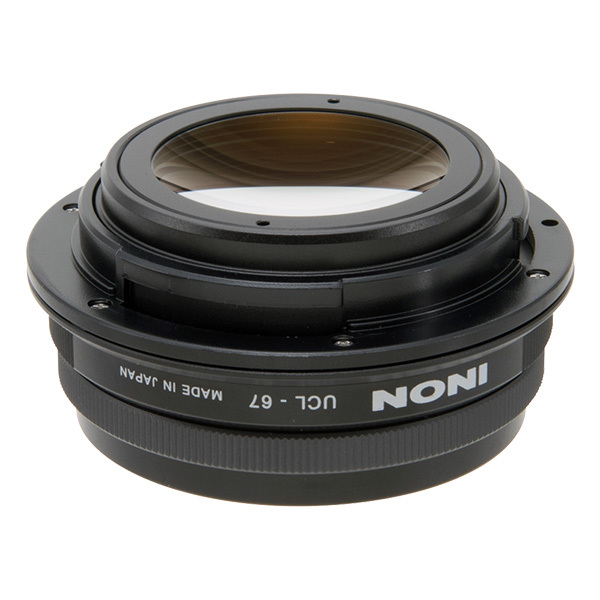 When using with 100mm range macro lens for SLR, working distance is 52mm (83.4mm from housing port surface) at minimum focusing distance (*3). Lockable bayonet mount INON "LD Mount" compatible. Easy, speedy yet reliable installation on "28LD Mount Base"/"LD Lens Adapter Base" can be obtained. Body: Corrosion resistant aluminium alloy / Rigid black almite, Polycarbonate etc.